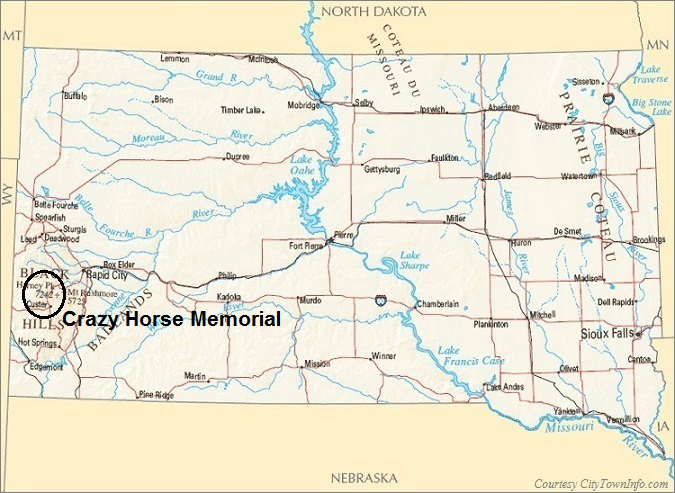 Ziolkowski in the 1940's, the Crazy Horse Memorial is operated by the private non-profit organization Crazy Horse Memorial Foundation. Located between Custer and Hill City in the Black Hills of South Dakota, the Crazy Horse Memorial is about 16 miles from Mount Rushmore. 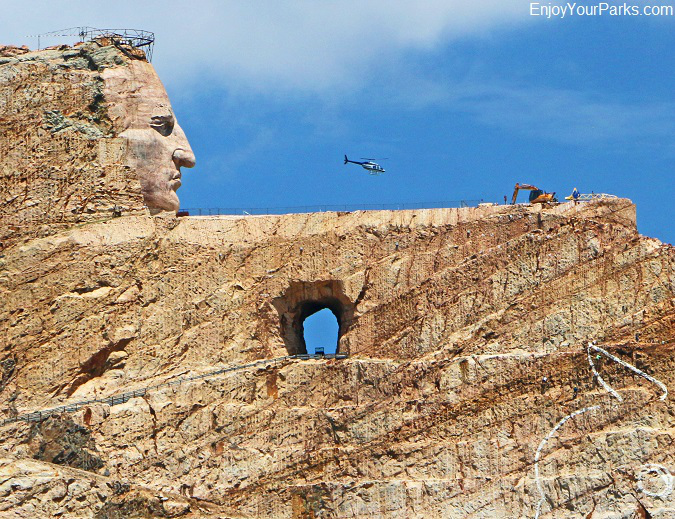 The Crazy Horse Monument is being carved on a solid granite mountain by the name of Thunderhead Mountain, and if completed will be 641 feet wide and 563 feet high. 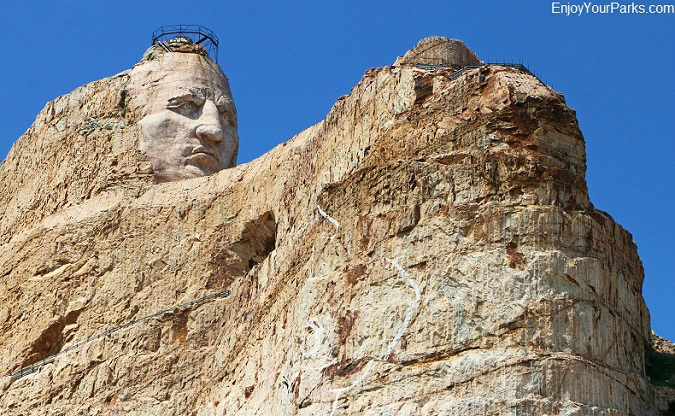 The head of Crazy Horse, which is all that is depicted at this time, is 87 feet high, whereas the heads of each of the four presidents on Mount Rushmore are 60 feet in height. 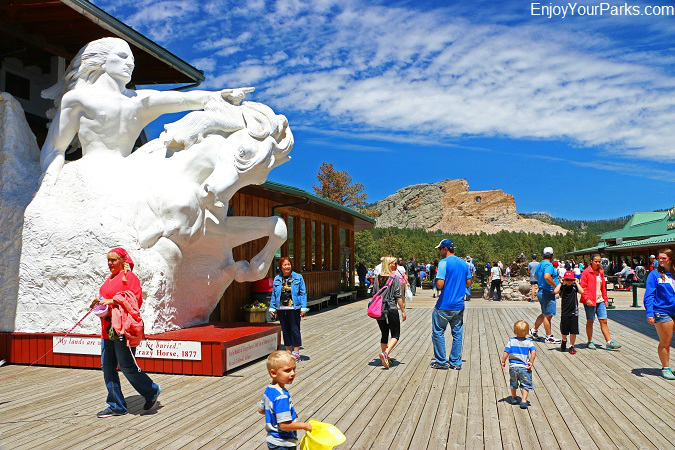 The carving of Thunderhead Mountain began in 1948, and upon its completion, the Crazy Horse Monument will become the world's largest sculpture. The finished project includes Crazy Horse riding a horse with his arm pointing into the distance. At this time, his face is completed and work on the extended arm as begun. 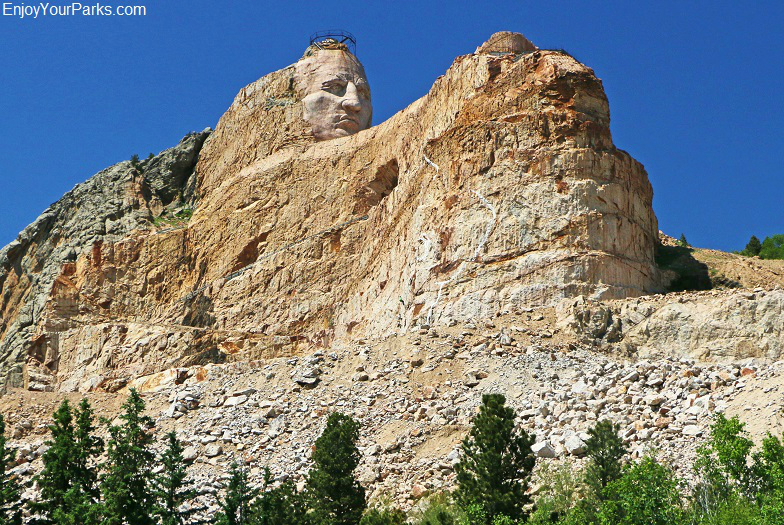 The sculpture of Crazy Horse is a work in progress...and has been since 1948. Crazy Horse was a Oglala Lakota war hero. He is one of the most iconic and notable Native American members, as he took up arms against the encroachment of the U.S. Military onto Native American territory. 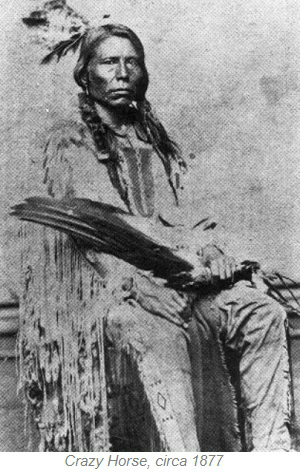 Crazy Horse's most famous acts were against the United States military at the Fetterman Fight (1866) and the Battle of the Little Bighorn (1876). Henry Standing Bear, an Oglala Lakota chief and prominent statesman of the Native American Community, commissioned the Polish-American sculptor by the name of Korczak Ziolkowski to build the Crazy Horse Memorial in the Black Hills of South Dakota. The actual carving began in 1948, however in 1931 Luther Standing Bear, Henry's brother, wrote a letter to Mount Rushmore's sculptor Gutzon Borglum and suggested that the head of Crazy Horse be carved next to the presidents on Mount Rushmore, stating "My fellow chiefs and I would like the white man to know that the red man has great heroes too". Borglum never responded, so Henry Standing Bear started a campaign to demand that Borglum carve Crazy Horse on Mount Rushmore with no success. He then commissioned Korczak Ziolkowski, who previously worked with Gutzon Borglum on the Rushmore project, to carve the image of Crazy Horse on a completely separate mountain in the Black Hills. Henry Standing Bear then asked the federal government to "trade" his 900 acres of fertile land in exchange for the face of Thunderbird Mountain, and an agreement was reached. He then chose to not accept any funding from the Federal government, and instead chose to undertake this massive undertaking by only accepting funds from prominent Americans who were interested in the welfare of Native Americans. Korczak Ziolkowski began carving the mountain in 1948, and it was reported that he was offered $10 million on two different occasions by the Federal government to assist his efforts but he refused. Upon his death in 1982, Ziolkowski's widow Ruth continued the project. Ruth Ziolkowski and seven of her ten children carried on the project from the 1980s through the 2010s. The finished project will depict Crazy Horse riding a horse as he points into the distance, however Ruth felt that this lofty undertaking should be taken in steps. So she first concentrated on completing the face of Crazy Horse, which was completed in 1998. The carving of the arm became the next focus. Ruth died in 2014 at the age of 87, however the project is still moving forward. This plaster of Crazy Horse is what the finished sculpture is supposed to replicate. 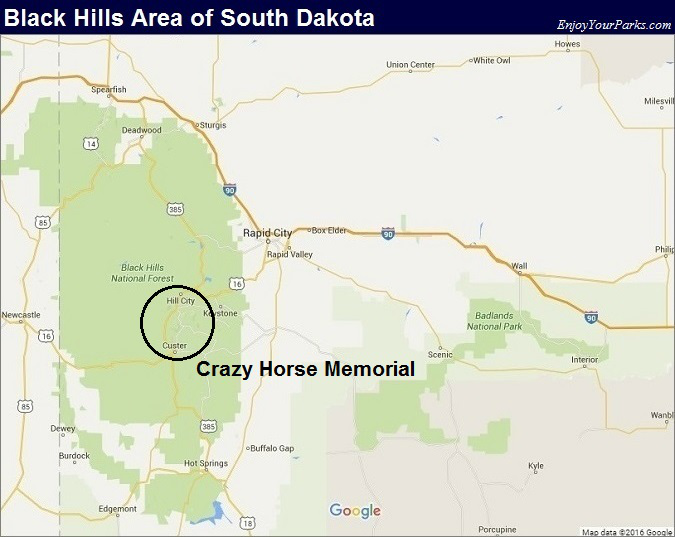 The Crazy Horse Memorial includes the actual mountain carved Crazy Horse Monument, the Native American Cultural Center and the Indian Museum of North America. 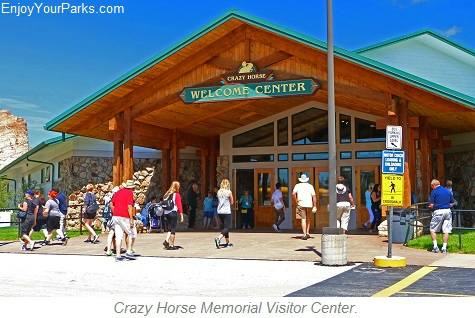 The cultural center and museum features more than 12,000 contemporary and historic items significant to the Native Americans, and there is a new wing at the museum known as "The Mountain Museum" which explains to visitors the work behind the scenes of the Crazy Horse Project. There is also a movie featured at the adjoining Welcome Center entitled "Dynamite and Dreams", which tells the story of the Crazy Horse Memorial Project. 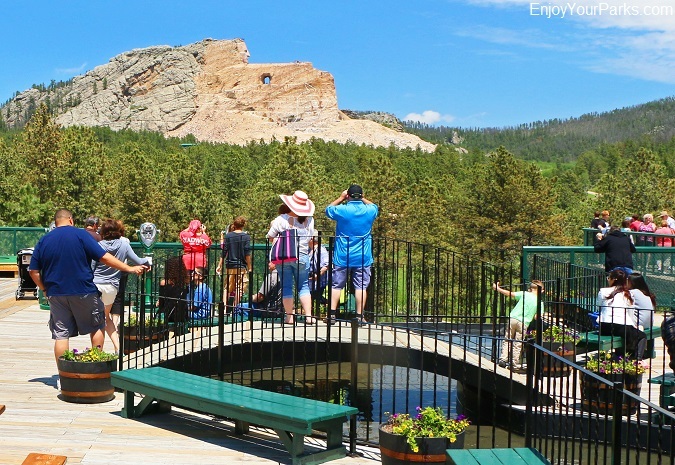 Visitors enjoying the Crazy Horse Memorial in the Black Hills of South Dakota.